“Thugs, The Musical” WORLD PREMIERE IN DALLAS!!! Well everybody, it’s been a long road from funding to shooting and post-production, and now to the festival circuit – none of which we could have done without help and support from you guys. 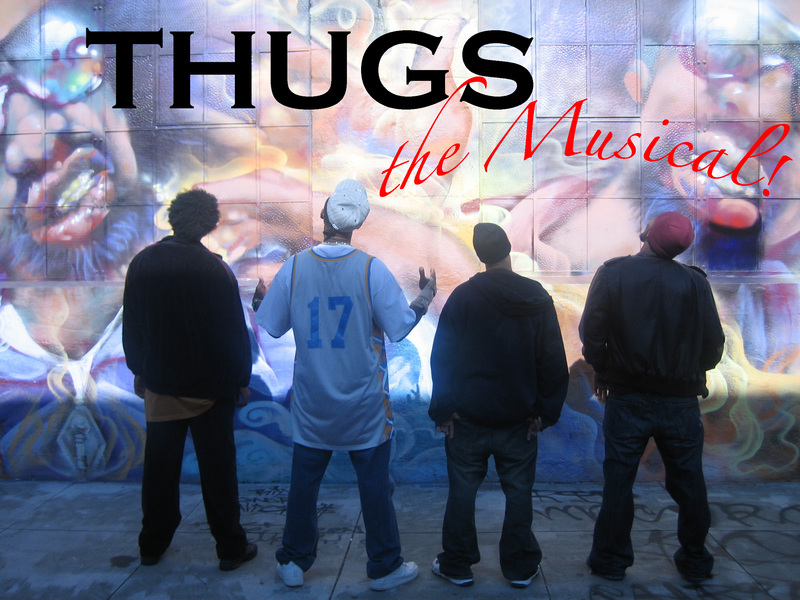 So, I’m incredibly excited to announce to all of you that Thugs, The Musical will be making its WORLD PREMIERE NEXT WEEK IN DALLAS at the Texas Black Film Festival!!! The Texas Black Film Festival runs from Wednesday, Feb 1st thru Saturday, Feb 4th. “Thugs” will be playing on Friday, Feb 3rd at 10pm at The Studio Movie Grill in Dallas. And I’m incredibly honored that the fest is showing our film with the Bernie Mac tribute film, I Ain’t Scared of You. So, if you’re in the Dallas area, or you’re crazy enough to fly/drive/boat/hot-air balloon to Dallas, you can purchase tickets ($8) to see Thugs, The Musical with I Ain’t Scared of You RIIIGHT HERE! And if that wasn’t enough, 2 weeks after that, “Thugs” will be making it’s EAST COAST DEBUT in RICHMOND, VA at the Mix International Short Film Festival! I’m looking at you, friends of mine in DC and all of Virginia! The Mix International Short Film Festival takes place Friday, Feb 17th thru Sunday, Feb 19th. Thugs, The Musical will be screening on Saturday, Feb 18th at Richmond, Virginia’s historic Byrd Theater in the 2pm shorts block. And yours truly will also be taking part in a Q&A with the filmmakers after the screening. To get tickets ($7) to see the film (including the other short films shown in the 2pm block), click RIIIGHT HERE! We’ll be announcing more screenings in more cities in the coming weeks and months, so stay tuned. And I know what a lot of you are thinking. “Hey, that’s awesome Kev, but where’s my crap?” We are working on that right now, and will finally start rolling out your donor gifts very soon. It’s been a hectic, crazy process, so I really appreciate all of your patience. Again, thank you so much. I’ll have more updates again for you all very soon, including posts, pics, and even video from our Dallas and Richmond, VA screenings! One Response to “Thugs, The Musical” WORLD PREMIERE IN DALLAS!! !